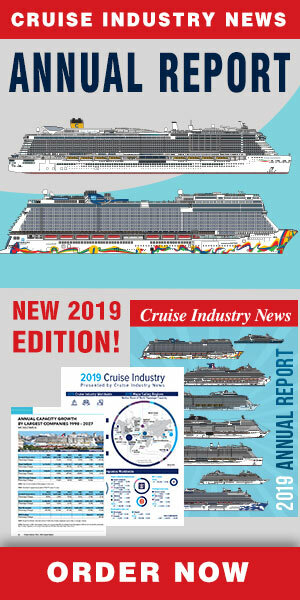 The Port of Le Havre is celebrating the 200th call by Princess Cruises today. 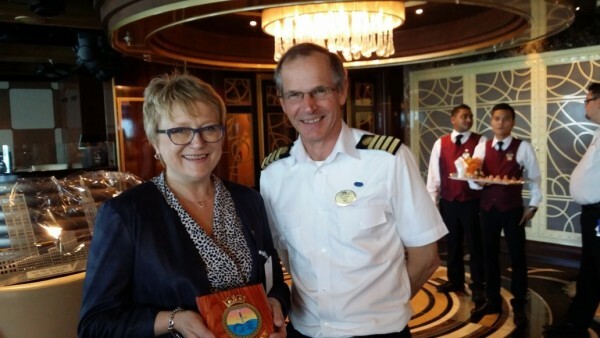 Captain Nick Nash of the Royal Princess and his officers welcomed local authorities onboard for a plaque exchange ceremony. 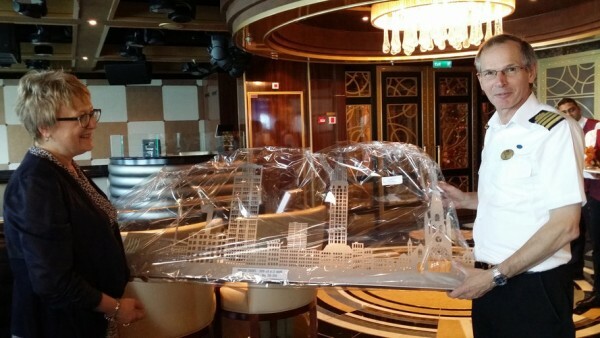 Valérie Conan, from Le Havre Cruise Club, presented a metal sculpture which symbolizes the skyline with the monuments of Le Havre. Besides excursions to Paris and Normandy, local representatives underlined the assets of Le Havre, including its contemporary architecture listed by UNESCO; the MuMa (impressionism museum), which holds the biggest impressionist collection in France after the Orsay Museum in Paris; shopping; and also the sea-front. The port is already planning for its 500th anniversary in 2017.